Peplow. The name Peplow is probably derived from old English phyppel-hlaw which means ‘pebbly hill’ or ‘stony mound.’ This may indicate the presence of an ancient burial mound in the area, but if there was one, its location is now lost to antiquity. At Domesday it was cited as Papelau and was held by Ralph de Mortimer for Earl Rodger de Montgomery, at which time it was part of Wrockwardine hundred. Before the Norman Conquest, Peplow was held as two manors (by Orgrim and Uluric). Ralph de Mortimer lost all of his manors, including Peplow, soon after Domesday, for his part in a rebellion against William I. 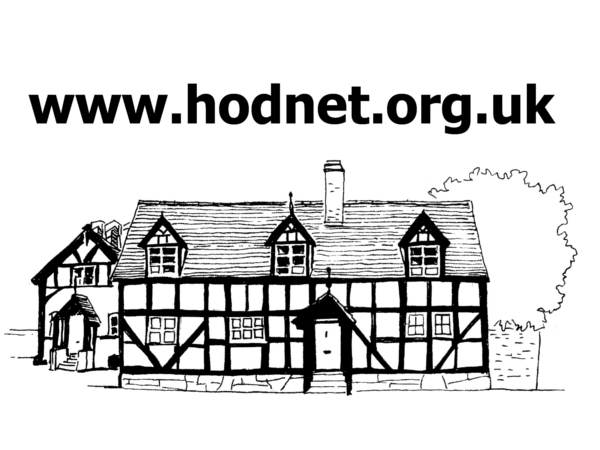 Later, during the reign of Henry III, it became part of Hodnet estate. 1715: Sir Richard Vernon is believed to have sold the Manor of Peplow to his steward Hugh Pigot. 1725: Hugh Pigot built or re-built the hall. 1795: Robert Pigot died; the Pigot family was at Peplow until this time. 1797-1800: Thomas Clarke of Liverpool, a merchant involved in the slave trade, bought Peplow. 1800-1815: Thomas Clarke sold the estate to Arthur Clegg, a Manchester Banker. 1831: Arthur Clegg died and his daughter Anne, wife of Lord Rowland Hill, inherited the estate. 1851: Lord Hill became sole owner of the Hall. 1873: Lord Hill sold Peplow to Francis Stanier, a wealthy industrialist from the Potteries. 1900: Francis Stanier died. The hall passed on to his son Sir Beville Stanier, until the First World War 1914-1918. 1919: Frank Hood Stanier married Dulcie Stanier (cousin). They made their home at Peplow Hall. 1924: By this time Peplow Hall was owned by Sir Robert Lynch-Bloss. 1939-1945: Sometime in this period Peplow Hall was acquired by Mr Neville Rollason. 1963: Neville Rollason died and Captain Higgin bought the Hall. 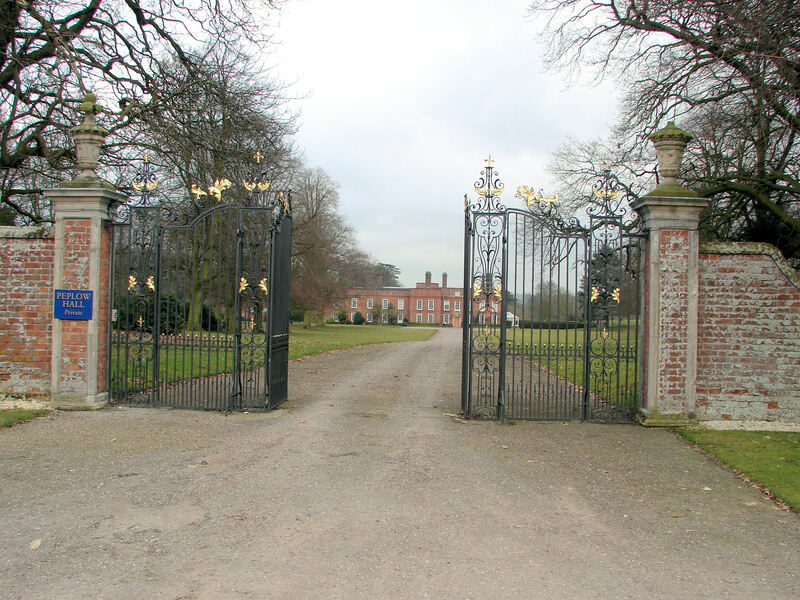 1978: The Hon.R.V.Wynn (now Lord Newborough) bought the estate. The Hall has been altered several times, mainly in 1886 by Francis Stanier and also in the 1920’s. 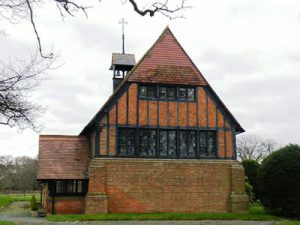 The Chapel of the Epiphany, Peplow was commissioned and paid for by the Stanier family from Peplow Hall. The corner stone was laid by Caroline Stanier in 1877, in the presence of the Bishop of Lichfield. It is possible that the Chapel was built on much older foundations. It was built as a cruciform structure of brick, in the early English style. The Chapel remained part of the Peplow Hall estate until the late 1940’s-early 1950’s, when it passed to the Lichfield Diocese. There are various memorials to the owners of Peplow Hall around the Chapel. The East window is stained, as are the others, to the memory of Captain Fisher and W.S. Stanier Esq. The outstanding feature of the interior is the large mural of “The Epiphany” from which the chapel takes its name. This is painted on the side of the chancel, and was painted by Douglas Strachan, a pupil of Burne-Jones? It was commissioned by Beville Stanier in 1903, in memory of the late Francis Stanier. Unfortunately, it now looks rather dark. In 1962 the painting was restored and a coat of varnish was applied. We have been assured that if this discoloured varnish was removed, the colours underneath would be as bright as they were in 1903. The survey of 1851 states the occupations in the Peplow area included farmers, a corn miller, a shoe maker, and a maltster and butcher. Close to the chapel there was a school and residence for the school mistress. During the second world war there was a very large airfield called RAF Peplow, however the site actually lay just outside the parish, between Childs Ercall and Eaton-upon-Tern. By 1945 it had space for 40 heavy bombers and three runways, the longest of which was 2000 metres long (2 km or approximately 1 mile). After the war the airfield disappeared. Peplow Mill was once a busy corn mill, with 20 or more lorries a day coming and going up to the 1960’s. At a later date a generator was put in place to provide electricity for the hall. In the 1990’s it was converted to a residence. Peplow was the second station on the Wellington to Nantwich line of the Great Western railway. However, the railway line closed down on 9th September 1961, a victim of Beecham’s cuts. Little Bolas. The name Bolas is probably of Welsh origin from the word bola, meaning belly or swelling, and may have been inspired by the fact that the settlement is close to a small hill in otherwise flat country. Alternatively, a Bolas is a form of hunting device used by South American Indians. It is a length of rope with a stone or ball of metal at each end. When used, it is swung round the head by one hand and then hurled at an animal so as to entangle it by twisting round its legs. However, it seems unlikely that this is the source of the name, but this explanation seems a bit more interesting. Little Bolas was a member of Peplow, and as such was part of Wrockwardine hundred in 1086. 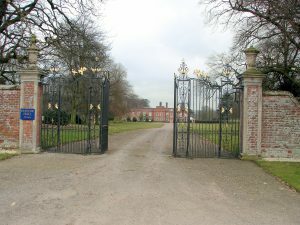 It was annexed with Peplow to Hodnet and appears in the list of manors belonging to the hereditary seneschal of Montgomery. According to the census of 1841, it was made up of two farms and nine houses and had 44 inhabitants. Today it is still a small group of houses and some scattered farmsteads.